For many people, feeling emotions, especially when they are their own emotions, can be a frightening thing. Yet for writers, not to mention actors, musicians, pretty much anyone who ‘puts themselves out there’ for an audience in some way, emotions are an essential gateway to connecting to their audience. It was honestly something I never really thought about until I read an article recently on the Rocky Mountain Fiction Writers website. As I read this article, I realized how much it rang true, in every respect. It also reminded me of some of the greatest moments in the last novel I completed, The Sword of Dragons – Burning Skies. Some of the most memorable stories out there evoke some of the strongest emotions. One of the key aspects the article mentioned was breaking through the emotional barrier, and how many writers fail to do so. Some don’t even try, perhaps because they don’t think they need to or that they shouldn’t. But stop and think for a moment about storytelling. What is it, exactly? At the most basic level, it is relaying a sequence of events, whether in order or out of order, to another person. Sounds rather dull and boring when you put it that way. Go deeper. What is it about stories that draws us in? There are the typical tropes of wonder and imagination, especially in genre fiction like Fantasy and Sci-Fi, and that can draw someone in by itself. However, I guarantee you it isn’t enough. Think about one of your favorite TV show or movie. What’s one of the first things that pops into your mind about that movie or show? I’ll bet for most of you, it’s the characters. 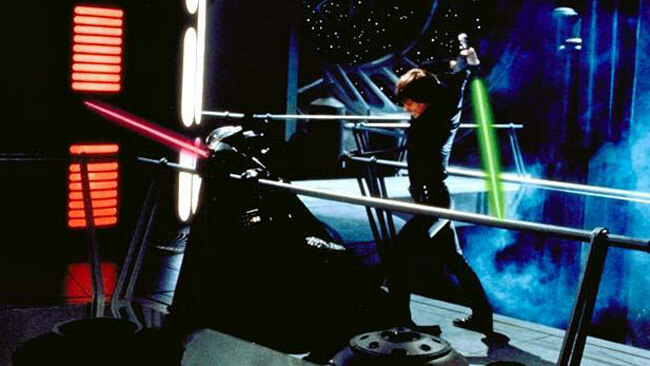 When I think of Star Wars, I think of Luke Skywalker and Darth Vader. When I think of Lord of the Rings, I don’t immediately picture the One Ring in my mind, but I see Aragorn, or Frodo and Samwise. My point here is that we think of characters, people. They are what we remember, and that is because we are able to connect with the characters. Even in stories written from the 3rd person, we inhabit their lives, their world. We root for them, or we hate them, or we fall in love with them. That link we feel for them, the one that makes us remember them, is an emotional one. And that is because, in a sense, they opened up to us (even if they had no choice, mwahahah!) We get to see those characters’ innermost thoughts and emotions. With all of that in mind, breaking through the emotional barrier, for all artists, becomes essential. When we do so, we’re able to realistically convey emotions that connect us with our audience. 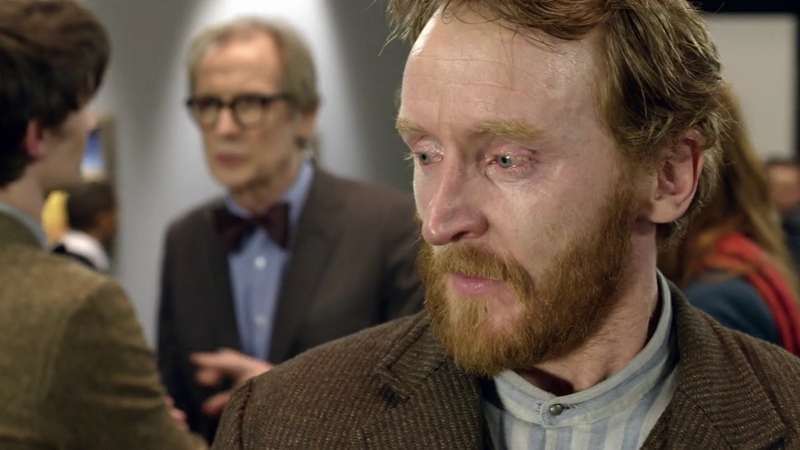 Actors, at least the best ones, are masters of using their own emotions. Mandy Patinkin, who played Inigo Montoya in the movie The Princess Bride, revealed in interviews that when he was approached to be a part of the movie, he was offered any role. 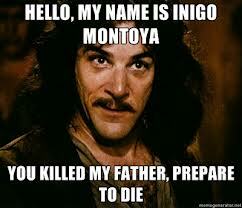 He chose Inigo because Patinkin had just recently lost his own father. So throughout the movie, he imagined that he was on a quest to avenge his own father, and in the final sword fight with the six-fingered man, he imagined he was fighting the cancer that killed his father. As a writer, I’ve found that some of my best work also comes from reaching inside of myself and finding emotions that coincide with a scene. Earlier I mentioned an example, a scene I wrote in Burning Skies. One of the central characters feels broken, lost, utterly useless. She’s trying to find her way, but despairs that she never will, and she spirals further and further downward in her emotional journey. In one of the key moments of the novel, the character hits rock bottom, does something horrible, and when she realizes what she’s done, nearly goes over the edge. As all of this plays through her head and heart, I wrote about how she expressed these feelings, and I found that as I did so, I reached back to one of the worst times in my life, remembered the emotions I felt, felt those emotions again, and wrote without having to ever think about how the character should or would act. When the scene was completed, I found that I had actually started to tear up myself. I felt a bit embarrassed about that, after all I do almost all of my writing at Starbucks. But later when I re-read that scene, it and the scene following it turned out to be among the most powerful scenes in the novel. It isn’t just about dark emotions, however. This example can hold true for every emotion. Love, joy, sorrow, sympathy, every single emotion can, and perhaps should, come from within the writer. I realize that for many people, especially in this digital age, what I’m suggesting might be extraordinarily difficult. It means acknowledging your own emotions, allowing yourself to feel them, intentionally evoking those emotions and the memories associated with them. It can be an uncomfortable prospect. However I strongly believe it is key to being a good writer. So I’ll leave you all with yet another bold statement: emotions aren’t something you have to hide from. Yes there is pain and sadness, and these can be uncomfortable emotions. But there is also exquisite joy and happiness. All of these various emotions hold an incredible beauty all of their own, and if you’re able to learn how to explore those emotions by feeling them, you’ll make yourself a better writer. Previous PostCalling all creative minds/poets – In The Sunshine of Summer TimeNext PostModern Fantasy – A Title At Last! Very good post and advice, Jon :) Thank you for sharing! Thanks :) and thank you for stopping by!